Revlon coupon can be found on Save.ca’s website. Select the coupon, you can either have the coupon mailed or you can print it yourself from your own printer. Printed coupons can be used in any supermarket or grocery store just like any coupon, the only thing is that you cannot duplicate the coupon otherwise they will not accept it. 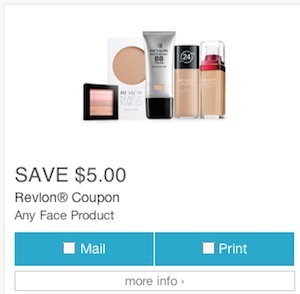 Revlon coupon is to save $5 off any Revlon face product. You can find Revlon face products at Walmart and Shoppers drug mart, both accept printed and mailed coupons from save.ca. For example, the Revlon PhotoReady Makeup costs $16.96 at Walmart, with the Revlon coupon it will only cost $11.96. Revlon coupon is valid in any supermarket/grocery store in Canada. 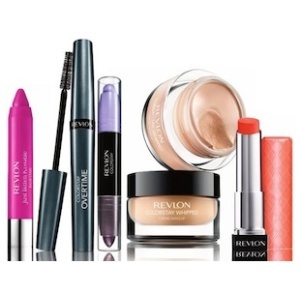 There are many Revlon products including primers, concealers, foundation, BB/CC cream, powder, and blush/bronzer. The Revlon BB/CC cream is a lightweight, multi-benefit Beauty Balm that combines skincare, makeup, and sunscreen into one step.